Hey Girls, Do you dream of being the most beautiful ballerina in the whole world? 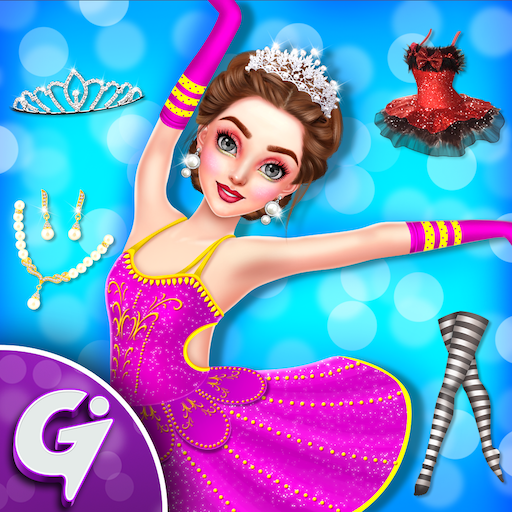 If yes then Beautiful Ballerina Girl Salon Stylish Dress-up is the perfect game for you to make your dreams come true and inspire by amazing makeover activities. In this girls salon game, our gorgeous ballerina needs to get ready for their ballet show and she wants the best look. Now you have a chance to experience the ballerina girls salon. First of all, Go for a comfortable spa and give her clean and smooth skin by removing pimples, dark circles and more. Then enter a makeup section and give her delightful look with attractive hairstyle, eye lenses, unique eye mascara, eye brows, eye lashes, blush up, nice shape of a lipstick, necklace, earrings, tattoo, crown and much more. After that, give Ballerina more stunning look by selecting an amazing dress up accessories like a top, skirts, frock, gloves, funky stockings, footwear and much more. Here in this game, you can also treat injured ballerina at your own clinic. Once she is ready with all the activities, then taking awesome photos of the ballerina by choosing your favourite background. Don't forget to smile for the photo. 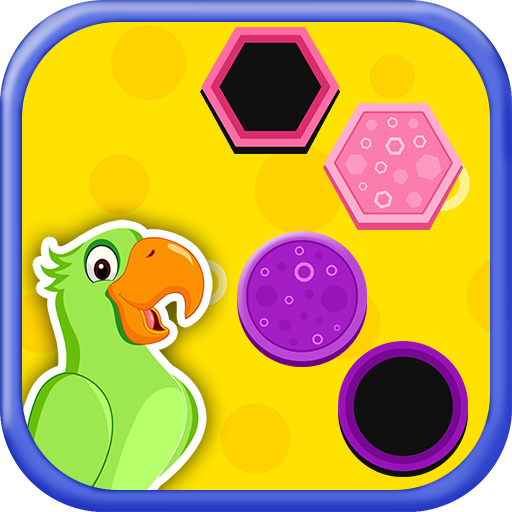 At the end, Enjoy Ballerinas dance with tons of different moves. 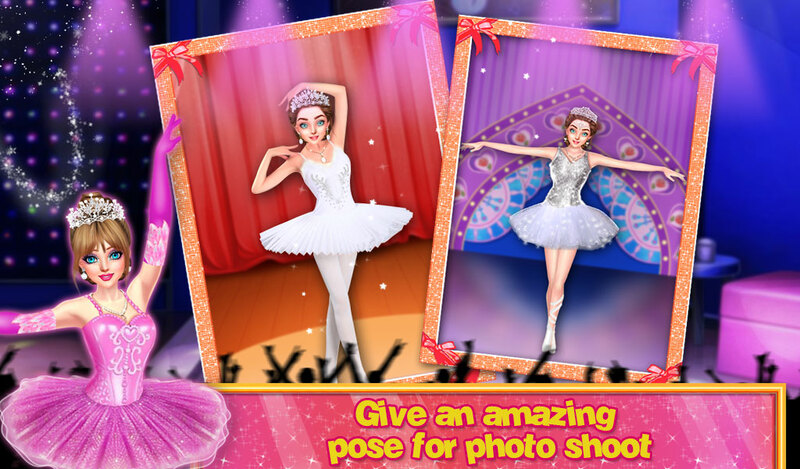 Play and enjoy this Ballerina Girl Salon Makeup game and share it with all your friends and family members. 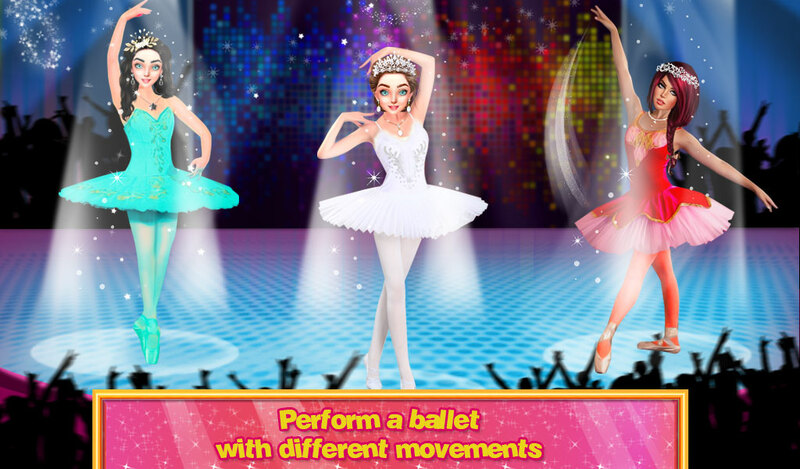 If you're a ballet lover, come to experience the amazing makeover journey in this Ballerina dress up game.